On Monday, May 30, thousands visited cemeteries all across the U.S to honor the heroes of their country. 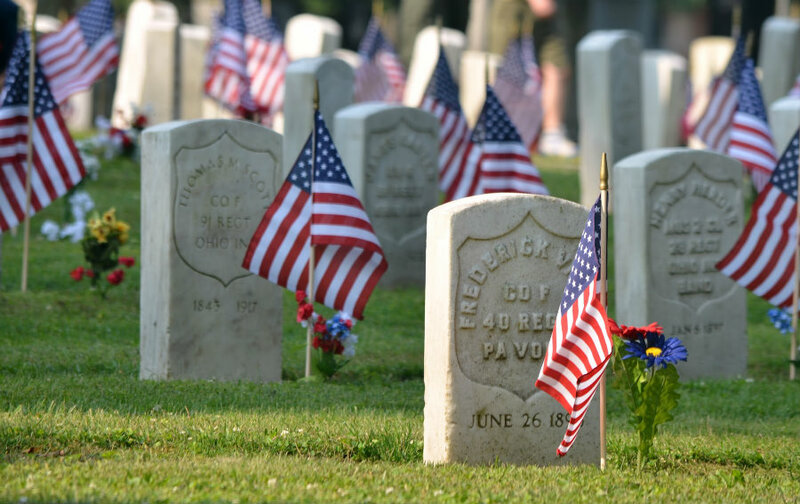 The Memorial Day tribute gathers veterans, states authorities, family members, friends, all of them with the same purpose, remembering and honoring their fallen soldiers. Memorial Day is the day for meeting those who died defending their country and for those who express their gratitude for their courage and bravery. In Dallas, Air Force Col. Bruce Cox, commander of 307th Bomb Wing, led the ceremony and addressed emotive words to those who sacrificed their lives. The service concluded with a filmed performance of U.S. anthem by the U.S. Army 1st Cavalry Division Band. Florence civilians, state representatives, active-duty servicemen and veterans attended en masse at Florence National Cemetery. Despite bad weather, hundreds of people attended the Memorial Day Service to visit the grave of their beloved ones and to remember that the sacrifice they have made will ensure freedom for everybody in current and future days. The Abraham Lincoln National Cemetery in Elwood also paid tribute to their casualties. Nick Thomas, the Master of Ceremonies, told the crowd who came to the national cemetery that the Memorial Day annual service is special due to the introspection effect it has in each of the visitors. Elwood soldiers who served in the military during the Revolutionary War were honored by actors who presented their living timeline. Also, tribute songs were performed by the Joliet American Legion Band. The cemetery director, Sean Baumgartner, said that people from all over the south of Chicago visited the national cemetery to express their “deepest gratitude”. Several active service members, 40 veterans, and their families walked 40 miles to raise awareness about current veterans’ suicide. The group supporting veteran suicide awareness marched from Pomona to Riverside as a tribute to those who defended the U.S in basic confrontations and endure today post-traumatic stress disorder. Most veterans suffering from this mental disorder commit suicide. It is estimated that around 22 veterans commit suicide every day. Each person participating in the walk carried a backpack with 22 pounds inside, as a symbol of those veterans. They also hold a flag with the picture of a veteran who has died as a consequence of mental disorder. The march to raise awareness in society about veterans suicide departed on Sunday, at around 9 p.m. and it arrived at the Riverside National Cemetery Monday morning for the Memorial Day ceremony.